In 1493 Christoper Columbus discovered the eastern-most island of the Great Antilles. About 50 years later, Puerto Rico began to really blossom - through you! Which roles will you play in the new world: Prospector? Governor? Settler? Trader? Whatever you do, you have one goal: to achieve the greatest prosperity and the highest reputation! 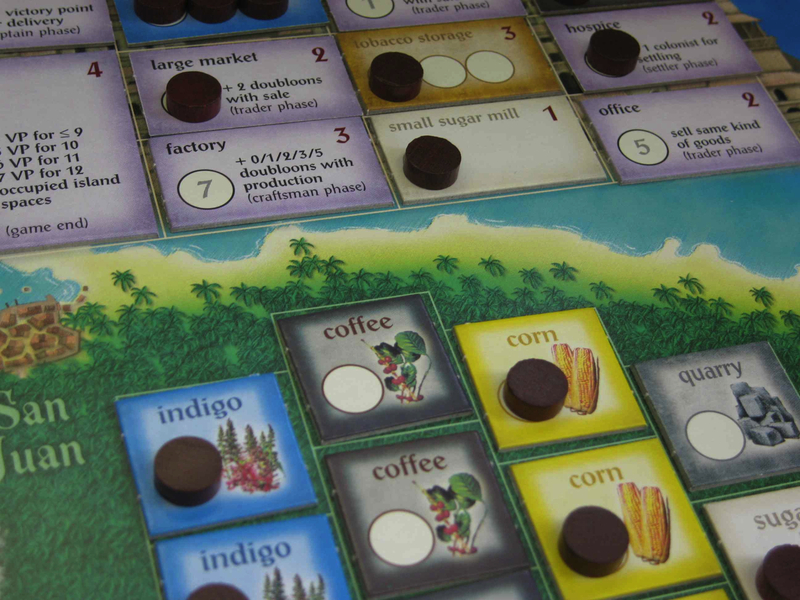 Who will have the most fruitful plantation? Who will build the most impressive buildings? And, who will earn the most victory points?